Must have knowledge of C++ file structure , Familiar with encryption algorithm. The company was founded in 1998 in the United Kingdom,by Comodo CEO, Melih Abdulhayoğlu, a technologist and an entrepreneur. Comodo relocated to the United States in 2004. Comodo's product line is focused primarily on computer and internet security. The firm operates a Certificate Authority that issues SSL certificates, offers a computer security suite that includes antivirus and firewall protection and offers other web and network protection services. STC , an Infrastructure Management Services Conpany is recruiting Freshers for MNC Client. If selected, candidate needs to undergo self supported Training. Only 2014 batch students are eligible. STC Technologies,an internationally recognized IT Training & Certification company,provides classroom training for its training and certifications courses,designed to meet your specific career requirements. To help you remain focused, we provide an optimal learning environment. A classroom setting allows for real time discussion and provides interaction that isn’t easily duplicated even with the most advanced of technology. Many people learn better in a one-on-one instruction session. Some people thrive on the conversation of a topic with other people, which is something they feel uncomfortable with in an online situation. Typing a message or post to somebody isn’t the same as verbalizing a point of view. Instructors can answer questions and provide hands-on answers that should satisfy most curiosities. This allows the students to learn readily and to effectively engage all of their senses with the material. Students join together to work out basic problems and find solutions as a group. A classroom enables a learner to experience support from peers and instructors. This gives a sense of encouragement and belonging to the student,allowing more time to learn things properly. Dedicated to your success, we help you gain essential skills and knowledge through intensive hands-on practice and real world simulations. We only work with expert instructors with real-world experience. When you participate in STC's classroom training, you’ll get valuable hands-on training from a STC certified trainer and also learn how to make the most of STC’s products. This training is held in various cities throughout India and abroad. Freshers and upto 4 year experience can apply. Cognizant ( NASDAQ : CTSH ) is a leading provider of information technology , consulting and business process outsourcing services dedicated to helping the world's leading companies build stronger businesses. Headquartered in Teaneck , New Jersey, combines a passion for client satisfaction , technology innovation , deep industry and business process expertise and global business collaborative workforce that embodies the future of work. With over 50 delivery centres worldwide and approximately 1,50,000 as of Sep 2012 , cognizant is a member of the NASDAQ-100 , the S&P 500 , forbes global 2000 and the fortune 500 and is ranked among the top performing and fastest growing companies in the world. Must have good academic scores. Smart? Driven? Care about making a difference for clients? Ciber people are hard-wired to be intellectually curious, client focused and results driven. It’s who they are – and it’s what sets Ciber apart in the fast growing and competitive IT services marketplace. If that sounds like you, Ciber is the right place to advance your career. Ciber offers competitive pay and benefits – that is table stakes. But with Ciber you get more -- a work environment that works for you. Engaging culture: Ciber’s culture is enthusiastic, collaborative, and fast paced. Continuous learning: Personal development plans and annual reviews provide for formal development, but employees also learn from the dynamic team environment, the depth and breadth of subject matter experts, and the global exposure of an international business. The right size: With more than 7,000 consultants on four continents and almost $1 billion in annual revenue, Ciber is big enough to provide compelling opportunities for growth and development, but not so big that people get lost or forgotten in the shuffle. Whether an experienced professional or just launching your career, you will be empowered to contribute from your very first client engagement – and grow from there. And no matter what your specialty, you can be sure at Ciber that you’re part of a top-notch team revolutionizing the way businesses leverage IT. Must be from 2014 batch only. Must have 60% and above throughout academics. Willingness to work in shifts , any platform and any location. Candidate should be willing to sign a bond of one year. ANZ Infotech helps its Global customers remain at the vanguard of their industries with pioneering uses of technology to operate their businesses more competently. We deliver flexible, custom Information Technology and Business Process outsourcing solutions that improve quality and reduce costs. We explore, develop, identify and adapt new ways to achieve this objective. Our objective and priorities are substantially distinct from our competition. We focus on the benefits that a new delivery model can deliver and to provide end-to-end solutions in the client's business process. We believe that our client business is distinctive and there are unique opportunities which are to be discovered. We help the organizations by developing customized applications & solutions to facilitate them to achieve greater efficiency. At the same time we try to enhance our own efficiencies, which enabled us to grow to a global company with offices, world-wide. To address our customer's business challenges, we apply our innovations to our operation which gives us an exclusive insight of providing accurate solutions. Our solutions are a blend of vast hands-on experience and persistent focus on business process thus resulted in our tremendous growth over years. We have organized our company to provide solutions to our clients according to their requirements and drive their business towards excellence. We also assist them in unfolding new efficiency opportunities for them as early as possible. 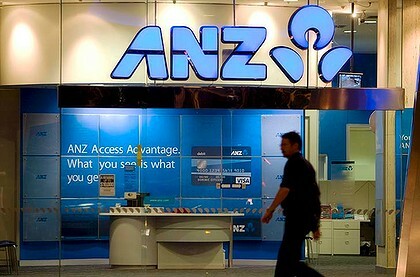 On the whole, ANZ Infotech is a firm committed to exceed our customer expectations. We are focused to generate new opportunities for our clients by exploiting the passion, talent, and innovation of ANZ Infotech globally.